I have to admit that I was reluctant to go to Hiroshima. I expected that the atomic bomb museum would be depressing, and I thought I already knew the whole story. I also had the misguided impression that Hiroshima would be much more industrial and boring than Osaka and Tokyo, and so I wasn't sure if we should bother going. In the end, I'm glad we did go. The atomic bomb museum was a sad experience in many ways, but I was deeply encouraged to find that the museum's exhibits went beyond simply recounting events and demanded a complete ban on nuclear weapons and world wide peace. The museum was also very impartial about what had happened during the war, and seemed to acknowledge the atrocities which had been committed by Japan in a fair way. This was especially true in the acknowledgement that many of the people who had died in the bombing had been enslaved Korean and Chinese labourers, who had been taken from the mainland to work in Japanese labour camps and factories. Overall, the tone of the exhibits reminded me very much of how Canada teaches children about the world wars - the sentiment here was much more "lest we forget" than the "remember our fallen heroes" message you often find in the USA. 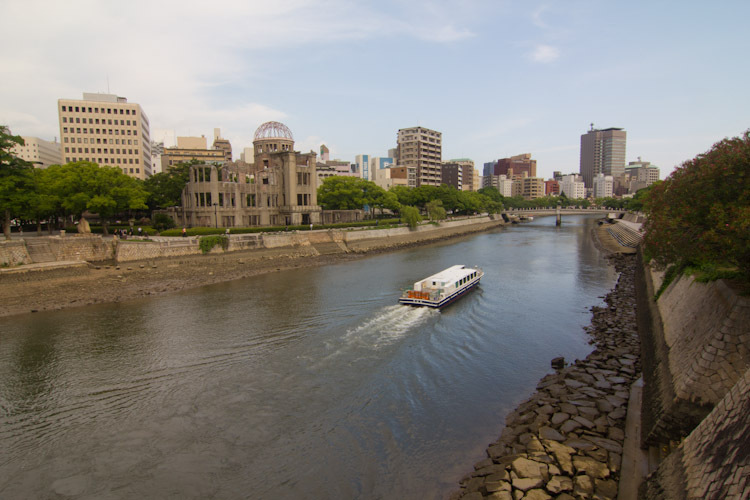 Hiroshima has been a city that stands for peace ever since the war. In fact, only 1 year after the bomb was dropped, thousands of people gathered in Hiroshima to protest for peace and a world wide ban on nuclear weapons. Also, every time a country has performed a nuclear weapon test since the war, the current mayor of Hiroshima would send a letter of protest to the foreign government who performed the test, and copies of them can be viewed in the museum. I think this was my favourite thing about the museum. 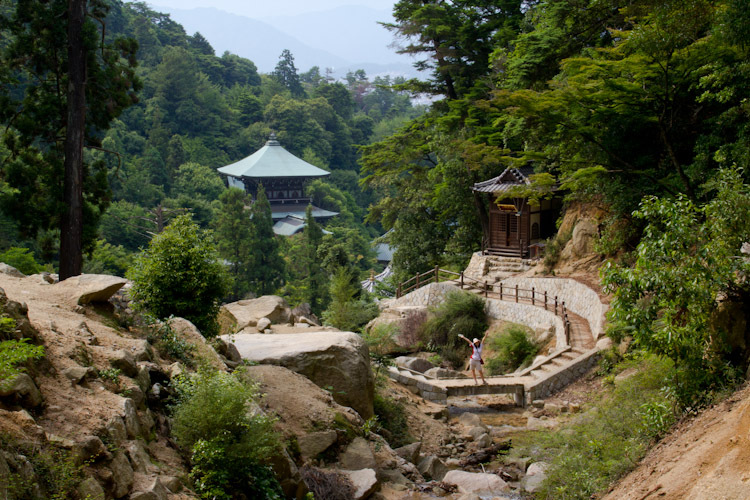 The war museum was an experience, but what really made the trip to Hiroshima worth it was our day trip to Miyajima Island. We headed just a few stops on the JR line from Hiroshima station to Miyajimaguchi, where we caught a ferry across to the island. The ferry was basically identical to the Toronto Island ferry, and we could use our JR passes there too. 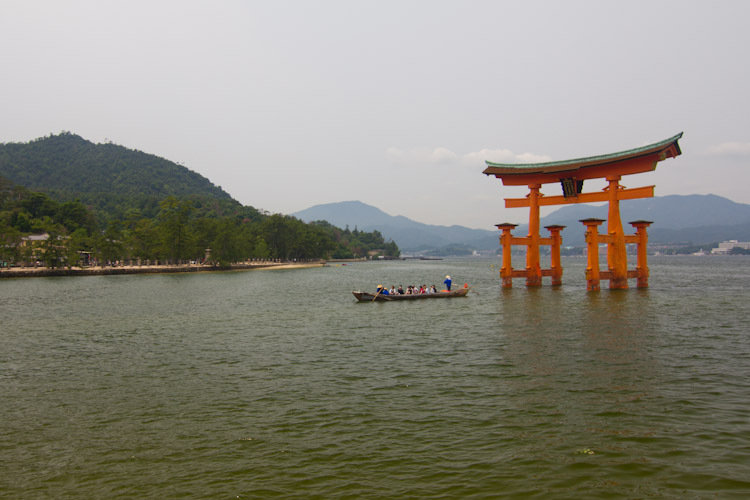 As we pulled up to the island, the ferry passed by Itsukushima Shrine (a UNESCO world heritage site) and its famous red tori gate. When we disembarked, we found a tourist map and discovered that it was possible to go to the top of Mt. Misen, the tallest peak on the island. So, after a snack and getting harrassed by some deer, we headed for the top. We opted to take the gondolas to the top and then walk back down, so we bought tickets and hopped on to a small shuttle bus that would take us to the first cable car. As we ascended, we quickly rose above the forest and were treated to a beautiful, if somewhat hazy, view of the island and the surrounding smaller islands. The cable cars were also fun because you must take two different kinds to reach the top. The first was a common rotating type, and the second a higher speed, higher capacity funicular type that spanned a very large distance from a lower peak Mt. 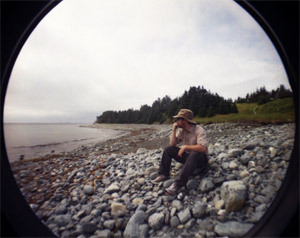 Misen. With our ears popping every couple of minutes, we agree that it had been smart to take the cable cars. We were further convinced that we had made a good decision when we discovered it was still a 20-30 minute walk to very top of mountain from the cable car stop. The trail back down followed a mountain stream, with views of several beautiful waterfalls. We also spotted a few five lined skinks (small lizards with shiny blue scales) on the trail on the way back down. One of them seemed to slither out of the bushes like a snake, causing me to scream like a young girl and almost jump off a cliff. After around an hour of walking down, we arrived at Daisho-in, where were pleasantly surprised by a very beautiful and old temple. The temple was founded in 806 and in many ways seemed more worthy of a UNESCO designation than the more famous itsukushima shrine. By the time we returned to the harbour area, the tide had gone out, and tourists had streamed out onto the seabed to walk up to the tori gate and have their picture taken with it. The scene was completely different than when we had left, and we joined everyone in going down the stairs to see the famous gate up close. By the time we got back to Hiroshima, we were reasonable hungry so we set out to find some dinner. 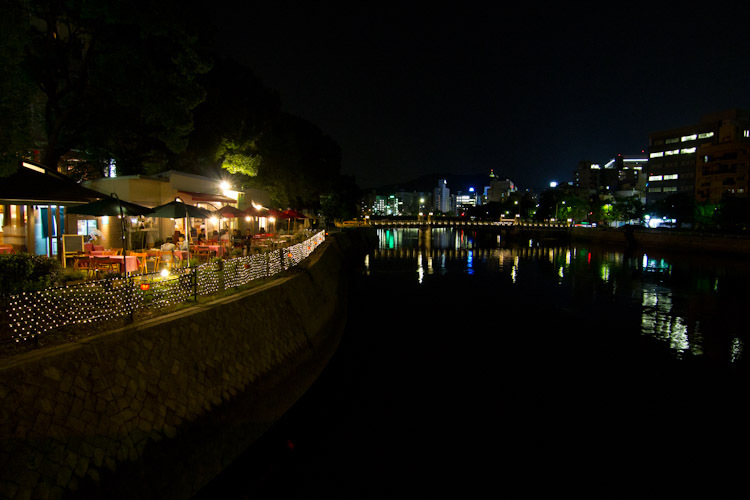 We found a great little riverside restaurant just across the river from Inarimachi tram station, where we had some excellent smoked salmon and a delicious (if a little small) pizza. Afterwards we picked up some more random-flavour popsicles from family mart and ate them by the river, where I snapped this picture of the restaurant.